After 8 long years it’s back! Just click below to catch all the shows and, I may be a little biased here but week 2 was a cracker! Here’s a recent interview with Peter Ling, Editor of Secret Betting Club for the Business Eye Show. Gives a good bit of background to their excellent service and what you can expect when you join…. The Secret Betting Club is unique in that it is the only 100% independent source for reporting, reviewing and monitoring the world of betting advice, whether through the use of tipsters, systems or strategies. Monthly SBC Magazine – complete with the latest tipsters reviewed, expert interviews, how-to guides and free systems and strategies to follow. SBC Tipster Profit Reports – full of the latest tipster ratings, including our tipster Hall of Fame and at a glance league tables to compare them all. Access to our dynamic forum rammed full of advice, free strategies and systems devised by some of our very shrewd members. Access to our outstanding six and a half back catalogue full of reviews, features and profitable betting advice. The great news is that all of this available for the equivalent of just £1.32 per week and with a full money back guarantee if not in any way satisfied once you joined. This weeks edition of the X-Traders Guide Podcast is now out. As always the show is hosted by Full Time Pro Trader Matt Finnigan and contains some great advice and guidelines on all things trading and where to find value. Matt is involved in a number of very successful sites on Trading and Sports Markets. Here is the lowdown on this week’s show along with a link to Matt’s site so you can have a listen for yourself….. He also reviews the first week of the IPL and his new cricket trading strategies are performing. Matt explains the difference to how professionals may approach switching between sports and how novices tackle trying to trade other sports. With the IPL just around the corner Matt’s talks about how he has used the International break from trading the Premier League to prepare for trading the IPL so when the action comes thick and fast during April he can switch between the sports fully prepared. This week’s is all about horse racing software and why you should use it to gain an edge in the markets. This week’s show talks about time-management and how a structured routine can help pay dividends when it comes to trading if you’re trying to fit it around your busy lifestyle. 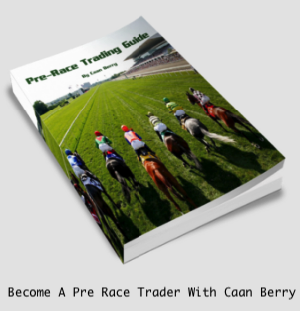 He starts the show with a Pro X Trading news why he is hosting a special Cheltenham Festival preview webinar this Sunday at 8:00pm and what you can expect from that. Finally his goes through why you should use technology to your advantage and ensure that you make the right kind of investments in the hardware that will enable you to trade effectively. The bulk of the show Matt talks through the kind of markets that you should be targeting as novice trader and want to get into trading horse racing, he covered stop losses and how to spot resistance and support prices points. He also points out the importance in learning the market cycles and the timeframe it will take, plus why screen recording is a good thing for reviewing the markets. He starts the show with a Pro X Trading news and how his new newsletter is rapidly growing in readers and expert contributing to the bulletin, also why the X-Movers is about to close the doors to new members. The bulk of the show Matt talks through how he sets his risk for heads up markets such as cricket and tennis and how knowledge of the markets will help you workout the overall maximum loss on the trade. He starts the show with a recap of last week’s trading seminar and finishes the show with news on two special horse racing editions of the show in the couple of weeks including a Cheltenham Special. The bulk of the show Matt talks through how profiling the habits of managers substitutions can pay dividends in spotting time decay opportunities in football, plus how he profiles referee’s to determine the types of matches that could be played.